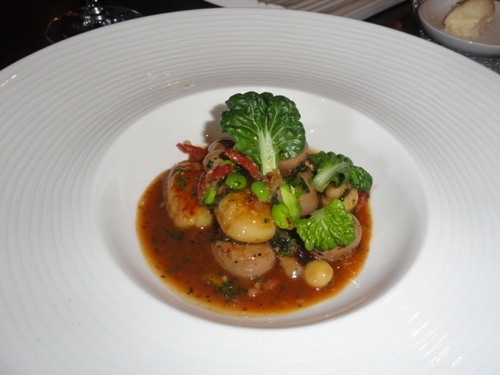 I don’t even know where to start enthusing about our amazing experience at The Kitchin in Edinburgh. Tom and Michaela have created a dining experience that far surpasses anything I have ever encountered. We made a booking for The Kitchin via email for the Friday of our visit to Scotland and we arrived at the Waterfront early enough to take a walk around the area. We arrived promptly at the front entrance of The Kitchin at 12h15 where we were greeted warmly by the front of house staff. While our jackets were hung up, we were shown to our table in the wonderfully appointed dining room. It is very intimate and well decorated and has a view of the kitchen through a glass window. There is soft background music and the staff never intrude and you cannot hear the other diner’s conversations which makes you feel like you are dining in your own home. Just in a well staffed environment. 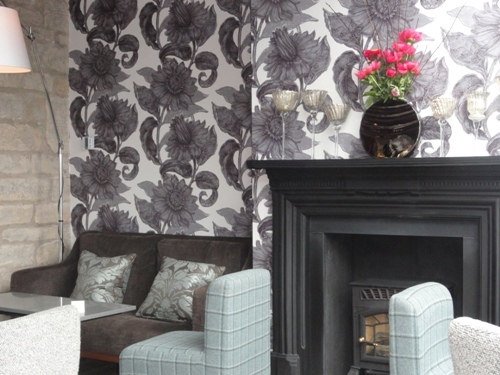 The staff are trained to the highest level of service and are polite, neatly dressed and look smart. When we sat down we were offered apéritifs which we declined. Dave perused the wine list, noting that the most expensive wine on offer was £3000. The Meerlust Rubicon was priced well in line with South African restaurant prices. We decided a glass of wine each for lunch would be a better option that an entire bottle. There is an excellent sommelier wine service and the gentleman who came to speak to us had a great knowledge of the wines on offer, the different blends, styles and regions. He offered to assist us with our choice, but we decided on a South African wine. When it was brought to the table we were told specifics about the estate and the highlights of the varietal we had chosen. 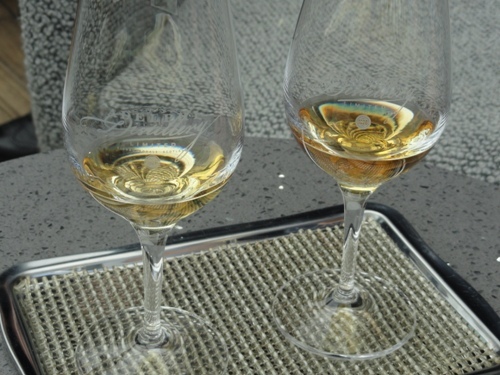 You can choose to do a food and wine pairing option and if you do, the sommelier will bring the wine to the table with each course and explain what is being served and why he chose it. The average price of a main course is £40 but the set menu for lunch is your best choice and at £26.50 well within our travelling budget when £1 costs us R12.00. 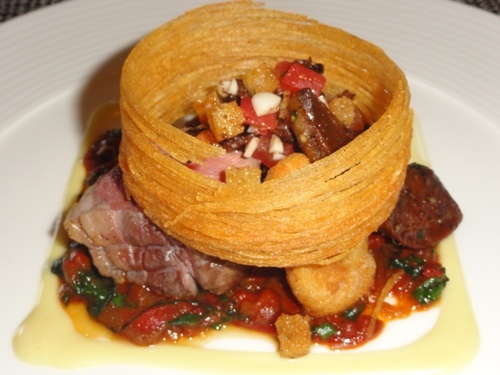 The menu is based on Scottish ingredients and cooked with modern French influences. Our meal started with crudités and when we were about half way through them, a basket of the most amazing artisan bread selection was brought to the table. 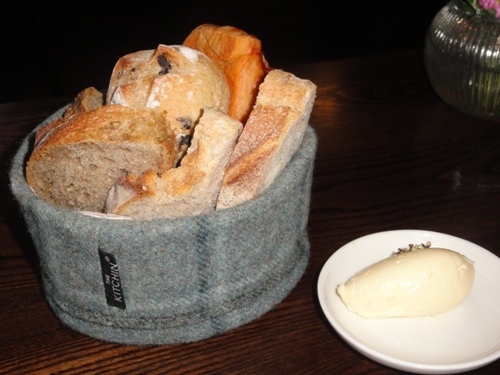 The bread was served with unsalted butter that looked as if it had been whipped and our choices were olive loaf, tomato, sourdough and multi grain. The bread is made by a local bakery – Dough Re Mi, and we enjoyed every morsel. 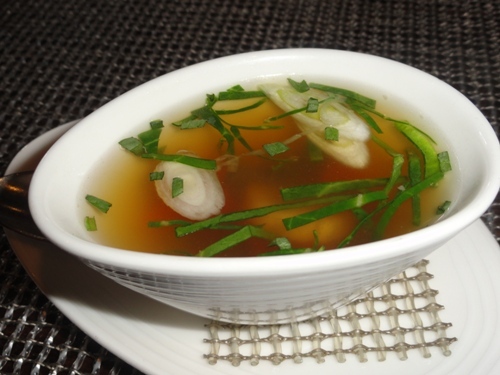 This was followed by a chicken consommé amuse bouche, that had an excellent depth of flavour and contained the softest piece of poached chicken. For starters Dave chose the rabbit kidneys and I had my first taste of a kidney and it was a flavour explosion in my mouth. 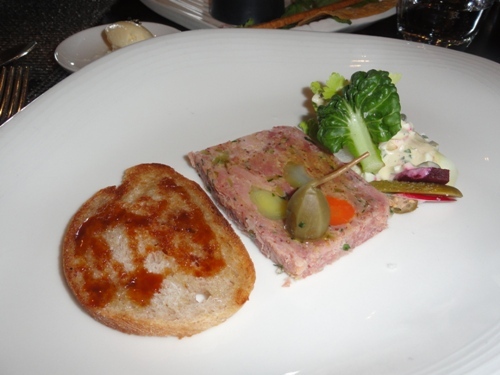 I chose the ham terrine which had a lovely texture. Our server explained exactly what we were getting and what the ingredients were with each course. Our main course selection was duck for Dave and lamb for me, and we were asked if the chef’s choice of serving it pink was OK with us. I know this is going to sound funny, but the lamb had a real lamb flavour! I am only saying this as we eat local South African lamb when at home, which tastes of lamb but some places we have been to source imported New Zealand lamb, which in my opinion has no flavour. Scottish lamb has a great taste and we indulged in more lamb while in Ballatar. My lamb was served with sweetbreads which I think are very ordinary. 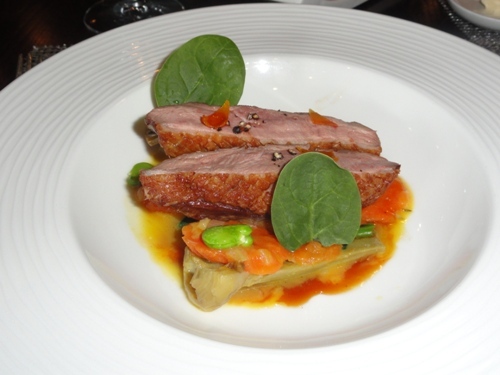 Dave’s duck was succulent and he noted that it is all about the sauces served with the meals. That and the vegetables go a long way to compliment the meal. In fact, Dave has said it was the best duck he has ever eaten. His dish included the most outstanding artichoke I have ever tasted. The clearing of the tables for each course is done after we were both finished our dishes, and the cutlery is replaced for our next course straight away. After our main course the place mats were removed for cleaning as well as all the things we did not need for dessert. Dave had rhubarb and crowdie for dessert and in my opinion, the best element was the rhubarb jelly. The poached rhubarb and sorbet and crowdie were all divine however. 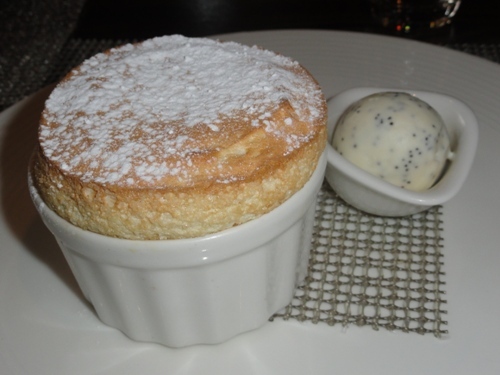 I had the lemon soufflé which was a delight and had a crunchy exterior. The sorbet it was served with was lovely and I really enjoyed the poppy seeds in it. It was tart and sweet all at the same time. After dessert we retired to the lounge for a whisky and coffee. Tom Kitchin was there to greet us – I think I was a bit flustered over meeting such a great chef but he was most pleasant and a pleasure to talk to. James and Jacob are on hand at the bar, and our whisky choices were Old Pulteney for me and Oban for Dave. 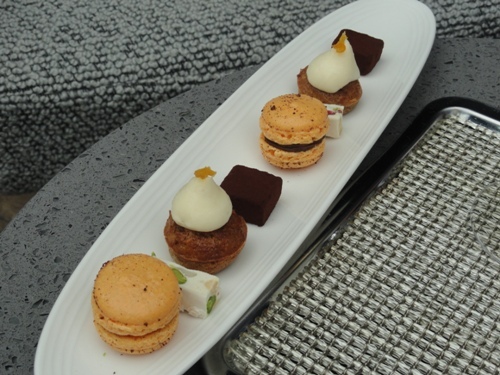 Our espresso’s were served with a petit four selection which had the most delicious nougat on it. I would not ordinarily mention a visit to the ‘powder room’ but as soon as I left the table my napkin was refolded straight away. The bathrooms are well appointed which I find is the one area most restaurants overlook. Hand cream to me is a simple extra that makes a big difference. 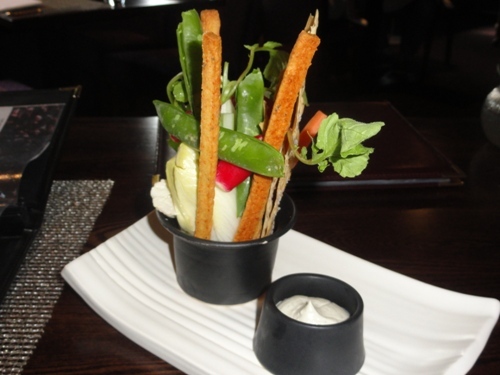 The philosophy “From Nature To Plate” evident in the menu is echoed in the recipe book. 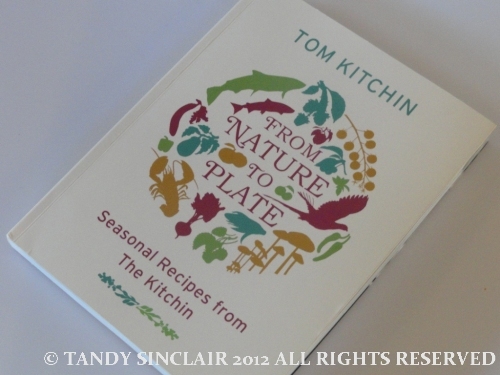 Tom signed a copy for me which Dave purchased so that we could try and replicate some of the meals. We left feeling well fed, after spending such a calm and pleasant time there for over 2 hours. It sounds like a wonderful experience! This was a grand & tasty review! He is one of my most favourite chef’s in the world! 😉 His food is excellent, I agree! I went there with my husband 1 year ago. It was a fabulous event & evening! I am so happy that you also loved the whole experience! Wasn’t it just one of the best meals you have ever had! I made the mistake of reading this on an empty stomach! Wow, that looks like a fabulous meal. 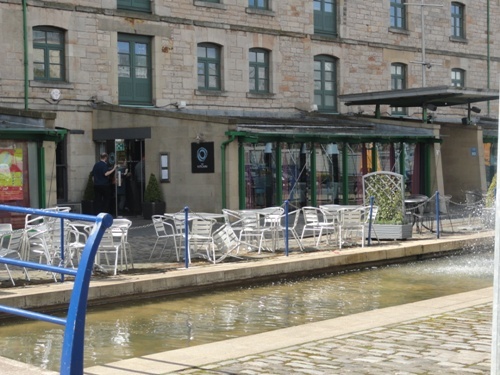 If I ever find myself in Scotland…..
Having shared your review with Chef Tom and Michaela Kitchin and the rest of the team they were delighted to read your comments. It really does make our day to hear such positive comments from our guests. 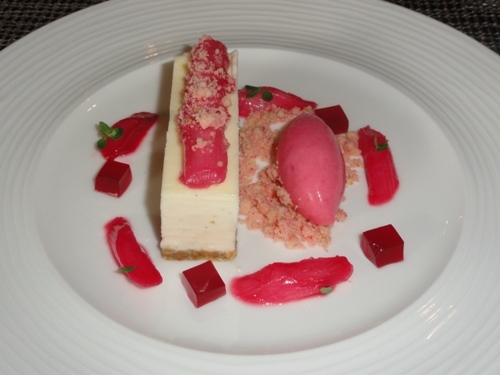 I very much hope we are able to welcome you back to The Kitchin again the next time you are in Edinburgh! The food looks awesome and that lunch menu was good value. I had a few bites for you! Wow! Wow! what an experience it must have been. Love the review & pics, i am sure you had a fab time throughout your holiday. Oh my it sounds such a lovely experience. I love Edinburgh too, one day…one day I´ll get back there! Oh I am so jealous. The food looks and sounds AMAZING. One for the wish list I think. What a fantastic lunch experience Tandy! 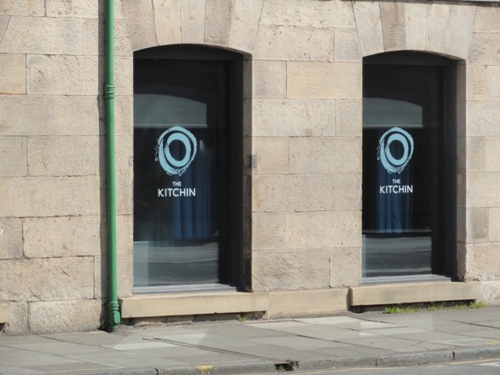 Not sure we will ever make it to Edinburgh BUT if we do, The Kitchin will definitely be a must visit. it was a great experience Mandy!